PETG Vivak ® features a durable, lightweight construction that allows simple and flexible fabricating, forming and finishing. PETG Vivak ® die-cuts and punches easily and can be bonded or fastened with adhesives, ultrasonic welding or rivets.... Putting The Tools To Use. It might be an appropriate spot to link the XSPC Instruction Sheet as provided with the kit. 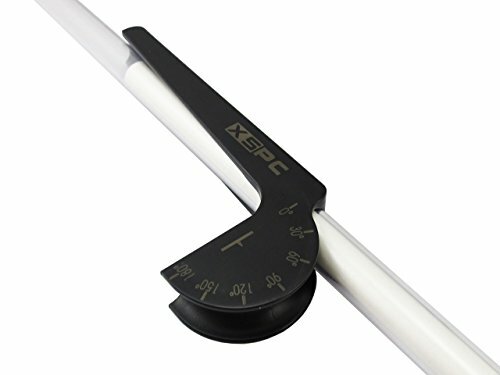 The step by step guide is a very, very streamlined guide and appears to make the world of bending and preparing PETG hard-line tubing easy. I use 16mm PETG, am only putting in two rads, alphacool 240mm, 30mm x-flow in top and 45mm at front. Using the cross flow in roof reduces my need for tubing and bends ( thats the plan) will only have one tight bed to do and thats from top of the front rad to top of resovoir but shoud not be issue. I've seen JayzTwoCents use a copper pipe cutter to cut the PETG tubing. I was at HD earlier today and saw one for $7.89 by the plumbing section. Another alternative for yah. The pipe can easily be assembled in the field, even cut by hand in a miter box. Other fittings can be made in a similar manner using the proper angles cut in the pipe. Other fittings can be made in a similar manner using the proper angles cut in the pipe. Unlike Acrylic tubing, PETG isn’t fragile. It can withstand dropping nor will it shatter. It’s user friendly in terms of hardline tubing, scratches less easily, and is the easiest tubing to bend. If you want a clean look without the headaches PETG will never do you wrong. First off, I apologize for my "helplessness", but I just ordered the plastic tubing from McMaster Carr, part number 2044T43. Of course, it's not true PETG (or so I'm told), so I don't need fancy tools to cut it (which I don't have).